I know I blogged the ornaments in my last post, but I can't resist sharing the completion of all the cute little houses. I couldn't resist making a few extra for more friends. I think I might have caught the paper piecing bug - these little trees are so cute and it's satisfying to get such accurate patchwork with little hair-pulling. I decided to add buttons to these as a simulation of a star. I've acquired a few additions to the stash. The nesting doll fabric is a Suzy Ultman design called "Little Kukla." (Thanks to Alice for nabbing the remnant at Gather Here for me!) The rest are DS Quilts prints. I am so excited for the potential of "black friday" online fabric sales - let me know if you hear of any good ones! I recently checked out these Gwen Marston books from the library. Jolene at Blue Elephant Stitches has mentioned her work frequently, so I decided to check it out. 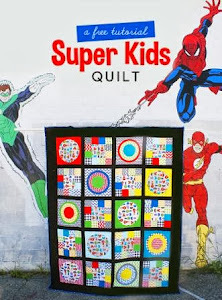 For all the modern quilters out there looking for some inspiration - I definitely recommend these. 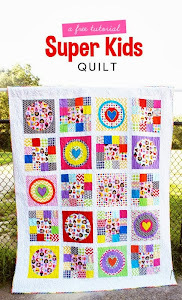 The needlework designs has also really got me thinking about new embroidery, quilting, and applique possibilities. Gregory practically pulled an all-nighter at the beginning of the week and I was a zombie for all of Monday. The therapy I prescribed myself was making a few of these selvedge blocks - it's so fun to just mindlessly put these together and try to put odd and interesting text or "dots" in a prominent position on the block. This is definitely a long-term project. I plan to only use my own selvedges so that the quilt made from them will be a tribute of sorts to all of my favorite fabrics/projects. Happy Thanksgiving! Enjoy your weekend and thanks for reading! Great projects.Love that little house. Those little house ornaments are so adorable. Love your little salvage project too. Great idea! I ♥ those houses and what a fabulous idea for all those selvedges!! !